For hair in need of a moisture boost, look no further than the super size American Crew Daily Moisturising Shampoo. Formulated with a blend of natural extracts it hydrates and conditions the hair, without weighing it down. The secret of American Crew’s Daily Moisturising Shampoo lies in its natural ingredients. Formulated with rosemary and thyme extracts, it naturally tones and moisturises the scalp, while rice bran oil adds sheen and provides elasticity and moisture. Gently cleansing, panama bark acts as a natural cleanser that doesn’t strip natural oils from the hair while chamomile extract soothes, softens and moisturises to leave hair feeling healthier, stronger and full of nourishment. Massage a small amount of shampoo into your hair and scalp. Great for every day use, but if you are like me and have oily hair, chose something stronger as it will not clear all the oil and styling product from the hair. Great product and smells great. Superb price also for brand. My dad was complaining that his scalp was getting dry in the city winter. I asked my hairdresser, and she said he should try this. Well he did and he said it fixed this problem! It's not heavy like some moisturizing shampoo and it actually moisturizes the scalp too! As I hit the gym on multiple occasions during a day, this product keeps my hair clean and looking good!!! This American Crew Daily Moisturising Shampoo feels fresh and smells great! However, the citrus mint is even better! The one and only men's shampoo brand and American Crew knows what a man needs. Great value for the size and quality. 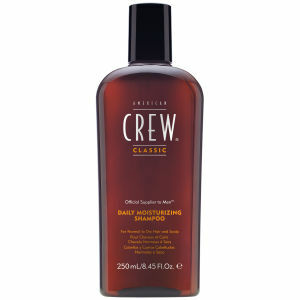 This American Crew Daily Moisturising Shampoo simply works - day after day. Fantastic moisturising shampoo. It was actually for my boyfriend but now I am using it. Therefore I always buy the big size. 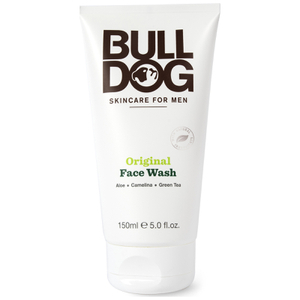 excellent shine,moisturising with no heavy or greasy results.bought for my husband but i use it too..